Jill DeWit: Good day everyone. Jack Butala: Welcome to our show today. 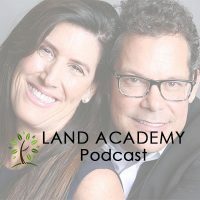 In this episode, Jill and I talk about the top three ways to wreck your real estate career, and your life. It’s a real positive show for us today. Jill DeWit: Oh my gosh. This is not a Jill topic obviously. Jack Butala: Before we get into it, let’s take a question, posted by one of our members on the LandInvestors.com online community. It’s free. Jack Butala: I am so glad, Marcus, that you asked this question. And I’m so glad, [Yanni 00:00:46], our producer, included it in the show. Jack Butala: … blast a county, with $100 an acre price where it’s retailing for $10,000 an acre. You’re wasting your time, you’re going to upset a lot of people, and waste a bunch of money on mail. Jack Butala: It’s the same exact effect of offering somebody to buy an office building in Manhattan for $100 a square foot. It’s just silly. What you’re doing is earning a reputation for yourself that’s not good. Jack Butala: What you want to do instead, to directly answer the question is, if it’s 10,000 bucks an acre retail, for sale, come in around 40 to 50 percent. 5,000, 4,000, and 6,000. There’s a lot of variables. At this level, what we do, and how I price offers, has to do with how much cash I want to take out of the deal. It’s not a percentage. If you buy a five acre property, and it’s $50,000 according to your ideology, I would try to buy it for 40,000 or 30,000 and just to make a $10,000 spread, or some version of that. Pricing in general, is a very, very … It’s imperative to learn how to price to make this work. It takes a lot of practice. You can’t do it the first time out. Jill DeWit: You know though, the thing that’s interesting that you were giving those numbers. We go for volume more than maximizing revenue, and I think that’s important for people to know. The more deals you do … Maybe they’re smaller deals, but they’re easier deals, and they’re faster deals. That’s our way, and it works out really well. Jack Butala: You want to have a … What you want to do when you get an offer campaign in the mail, is establish some type of consistency that yields predictable results. Jack Butala: Jill and I in general, when we do a land campaign, I can almost bank on about one percent. For every 100 letters that we send out, we’re going to buy a property. It’s a little closer to 150, but we’re going to buy a property that we know we can double our money on, for land. For houses, it’s about 1,500 to 2,000 sometimes 2,500 offers we have to send out to buy a house, but the profit margin from a percentage standpoint is way lower. But the dollars that you yield on each deal is way higher. Jill DeWit: Yeah, less deals worth more money, on the houses. Jack Butala: In 100 to $300,000 range for houses in Arizona … Arizona is a good market for that, and Las Vegas. We try to make $10,000 a house. We do make $10,000 a house, or we won’t do the deal. Jill DeWit: Mm-hmm (affirmative). That’s not being greedy. Jill DeWit: That’s leaving plenty of margin for the next guy. Jack Butala: Yeah. And the guy that we sell it to, who we already have in our pocket before we even send the mail out, makes way more money than that, because they go in and clean it up, and do the whole thing. Jill DeWit: Exactly. [crosstalk 00:03:55]. We hope they make way more money. Jack Butala: When we do movie star ranches, or large acreage properties on the coastal area, in the Pacific here, we need to make a hundred grand on those, and the deals, we don’t do those obviously as often. Jack Butala: The same thing with some … House margines here in Southern California, and California in general, we try to make about $100,000 on those too. Jack Butala: Doesn’t always happen, and usually it ends up being 50 to 80. You have to … Pricing is just imperative. I will tell you this … and then we’ll move on to the topic today … after you send out a few mailers, and get the hang of it, and you do start doing a few deals, you have taught yourself a skill that’s going to put food on the table for the rest of your life. If you can affectively send out blind offers, and make it financially work, you can make a massive career out of that like we have. Jack Butala: It’s not that hard. It’s not going to take you four years like going to college. Jill DeWit: How much time do you spend again, Jack, on pricing? You shared this the other day, and I thought it was really cool. Jack Butala: Before I send out a meaningful campaign … one that’s really thought out, it’s not a micro-mailer … one that where we send to, I don’t know, three or four counties, or maybe five or six markets let’s say, separate markets, sometimes they’re in the same states, sometimes not … these are my favorite kind of mailers by the way. So, it’s all diversified and priced. I spend at least 80 hours. No, probably 40 hours. I spend probably full-time one week, is what I mean. I’ve sent … It’s not that I’m going line by line. What I’m really analyzing is completed sales, and existing sales in the market, and then backing off what I think … Then I apply a test of reasons. Jill DeWit: Exactly. Not worth my time. Jack Butala: If it was for 1,000 on the same acre property, now I’m thinking about it. Jack Butala: 1,000 bucks? I could use 1,000 bucks. 150 bucks, no thank you. Jill DeWit: Mm-hmm (affirmative). It gets you thinking. Jack Butala: That’s the conversation you want the recipient of that letter to have. Jack Butala: If there’s a test of reason at the end of every mailer … We should do a show on this. Jill DeWit: It would make think, kind of thing. Jack Butala: Don’t be stupid. Jack Butala: Don’t be greedy. Jill DeWit: You know honestly, that makes me mad too. Yeah, don’t be greedy, and don’t be foolish. Jack Butala: Don’t be irresponsible. Jack Butala: I know. That’s not cool. Jill DeWit: Because you want to make it worth their while. Be cool. Jack Butala: We’re not here to take advantage of people. Jill DeWit: They’re low offers, we got that. They’re lower than retail obviously, and lower than a couple things, but they’re still decent offers, that everybody gets something out of it. Jack Butala: Always be respectful about it. Jack Butala: You don’t want to steal property from people. Jack Butala: You really don’t. Jill DeWit: Yeah. That’s nothing to run around bragging about. 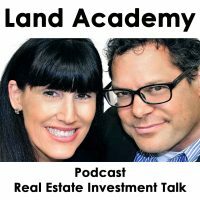 Jack Butala: If you have a question, or you want to be on the show, reach out to either one of us, on LandInvestors.com. Today’s topic, the top three ways to wreck your real estate career, and possibly your life. They’re the same things, in my opinion. This is a chapter in a book that I’m trying to complete. Jack Butala: How to ruin your life. Jill DeWit: Oh I love it. [crosstalk 00:08:45]. I’m sure that’s going to fly off the shelves, Jack. This is so good. Jack Butala: Don’t you get sick of all this positive stuff all the time. Jack Butala: I’m so tired of all this Tony Robbins motivationals. Come on. Jack Butala: No. No. Let’s hear some good solid advice for some people that have been to hell and back, like Jill and I.
Jill DeWit: Oh my gosh. Oh my gosh. Yeah, because we did wreck it … No, just kidding. I wrote down my three. This is one of those shows that, like all of our shows, we don’t talk a whole lot beforehand. I sat down, and I put some thought in. I’m like, “Okay. What are my top three?” You want to know what my three are? Jack Butala: I do. I can’t wait. Jill DeWit: They’re real estate. This is all real estate career, not just wrecking your life in general. That’s a whole ‘nother show. Like getting married, and stuff. No, I’m just kidding. No. Jack Butala: Aww, it’s great. Jill DeWit: No, I’m just kidding. All right. The top three ways to wreck your real estate career, and your life. My number one is, borrow money. Jack Butala: Oh my gosh. I love when you come up with stuff that’s different than mine. Jill DeWit: Yeah. That will sink the ship really fast. Jill DeWit: You’re under the gun, you owe a lot of people some money, that’s going to wreck your real estate career. My number two, jumping in with no experience or education, and making bad decisions. Jack Butala: Like sending $100 an acre offer to a $10,000 an acre market. Jill DeWit: In real time. Jack Butala: Ask the craziest questions you can ask, and everybody there’ll help you. Jack Butala: Wherever you are in your career, the people that are ahead of you, that are doing deals, they’ve been right where you are. You’re not alone in your real estate ambition. Jill DeWit: Do you want to hear my number three? Jack Butala: Yeah. I do. Tagline king. Just kidding. I’m just kidding. Those are all yours, and they’re perfect. Jill DeWit: Okay. My number three way to wreck your real estate career and your life, is … Okay everybody’s going to shoot me here, but, become a real estate agent when … hold on a moment, there’s a thing … when you really want to be an investor. They’re separate everyone. Jack Butala: This is the reason I adore you. Jack Butala: These are perfect. Jack Butala: Or to get access to the MLS. Jill DeWit: Exactly. Mm-mm (negative). You don’t need any of that stuff. If anything, it’s going to slow you down. Jack Butala: Here’s a reason that you would become a real estate agent, because you want to represent other people in their real estate acquisition and sale. Jack Butala: Or do you want to represent yourself? It’s a very simple question. Look at yourself in the mirror. Do you want to represent Sally housewife and the purchase of her new house, and help her with her wallpaper and her window treatments? Or do you want to purchase and sell apartment buildings for yourself, and your family, and your own personal checking account? Jack Butala: Jill’s a hundred percent right. If you love wallpaper, become a real estate agent. Jill DeWit: Right. And fighting over who gets to keep the drapes. Become a real estate agent. Jill DeWit: Don’t become a real estate agent. Jack Butala: … do not become a real estate agent. Jack Butala: I love it Jill. Jill DeWit: Thank you very much. I appreciate it. Jack Butala: Boy, I went a different direction on this. Jill DeWit: Yeah, what are your three? Now I’m dying to hear. Jack Butala: It might be geared toward more for young men, because the book that I’m writing is advice for young men. Jill DeWit: It’s hard, I understand. Jack Butala: You know what? It’s not hard for me. It’s really not. It never has been. Jill DeWit: I can see being disappointed watching them go do that. You have to make some tough decisions. Jack Butala: … eight dollar bottle of champaign, and we sat down on the floor of a closet with two coffee cups, we’d have a blast together. Jill DeWit: Exactly. Not that we haven’t done that. Jack Butala: We should do that. We haven’t done it recently because we make too much money, and we’re all caught up in silly stuff. But if we had to go back to it, I think it’d be a blast. We could do that. Jill DeWit: I remember champaign and sleeping bags. Jack Butala: Yep. Exactly. With no furniture. Jill DeWit: Exactly. And it was good. Jack Butala: Jill, you’re right. Jack Butala: What are my top three? Marriage. Don’t get married too soon. Jack Butala: Children. The biggest distraction in your life will be having children, for men and women. Now this is not just for guys. Am I saying it’s bad to have kids? No. Jill and I have three. Just make sure you get all the … This guy’s a great example. He’s 33 years old-ish. That’s not too late to start anything. That’s the perfect time actually to have kids, and think about getting married. The third one is, getting the wrong education, and then … Just getting the wrong education. If you realize you’re in the wrong profession, or job, or whatever, do something about it. Jack Butala: If you don’t have a wife, and you don’t have any children, or a husband … I should say spouse, not wife … you can change all that. You can go back to a $500 a month apartment somewhere. Who cares? You know? It’s harder to explain that to your kids, and to your spouse. Jack Butala: Get the right education, don’t get in a serious relationship too soon, and avoid having children until it’s the right time. I mean, it’s never really the right time, but you know, until you’ve got this other stuff out of the way. Jill DeWit: It’s true. Otherwise you’ll be behind, and forever trying to catch up, and you’ll never catch up. Jack Butala: Forever catching up. This is what my whole book’s about. It’s a young man’s guide to having it all. Jill DeWit: Isn’t that funny? You’re writing a book for young men, and I’m writing a book for professional women. Jack Butala: Yeah, and we never talk about it except on the show, which is good. Jack Butala: Maybe we should. I don’t know. No, let’s not talk. Let’s just have fun. Jill DeWit: That’s true. That was good. Jack Butala: I love your real estate piece though, Jill, to this, because this real estate agent thing, what a joke. Jack Butala: What a joke. That’s all I have to say. Jack Butala: It’s a ruse. Jill DeWit: Yeah. Don’t do it. Jack Butala: … in Washington, D.C. keeping Realtor.com alive. Jack Butala: Nobody wants to pay a real estate agent, and nobody needs to. 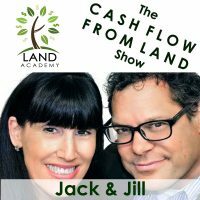 Jack Butala: Join us in another episode where we discuss binge listening to podcasts, Cash Flow From Land 546. Jill DeWit: And answer Pete’s question about how much slope is too much slope? I love it. Jack Butala: How much slope? Like in a piece of land? Jill DeWit: Or a 40 percent grade. Right. Jack Butala: I’m going to tell a story about a piece of property I sold to a rock climber. Jack Butala: You are not alone in your real estate ambition. That was a great show. Jill DeWit: Yeah. I love it. When you do shows and there’s numbers, I’m like, “Okay.” I put a lot of thought into it. You know, okay. Because I only have three to work with, you know? What are my top three? Jack Butala: Versus like tomorrow’s show, which is binge listening to podcasts. You don’t put any work into that. Jill DeWit: I can just go anywhere into that one. Exactly. I can just, whatever. Just blurt out whatever I want. Jack Butala: No. I loved the question today. We should really do a whole show on pricing. Jack Butala: We should do a whole program on pricing. It’s really what matters. Jack Butala: Everything else is just mechanical. Jill DeWit: Jack. That’s brilliant. If you just did a whole separate thing on nothing but pricing. Jack Butala: I’m writing it down. Jill DeWit: Love it. Good stuff. Information and inspiration to buy undervalued property. Jack Butala: If you like our show, please subscribe and write us on iTunes, or wherever you’re listening.